I hit a breaking point with my hair one day and decided to chop it all off. I’d had long hair my whole life, but running after my kids and maintaining long hair were just not going hand in hand. 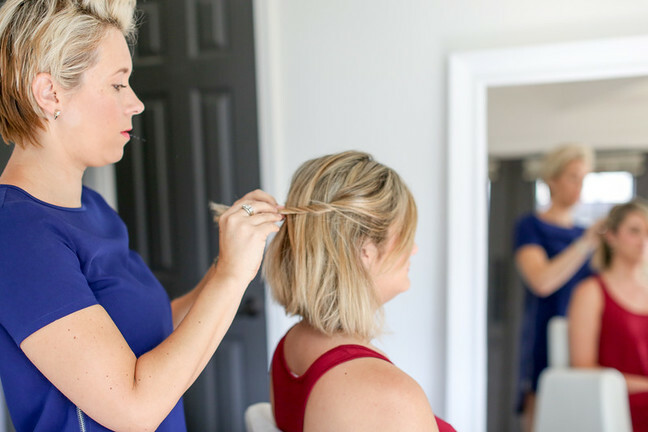 I wore a ponytail virtually every day, and just generally felt like I wasn’t put together unless I gave it a good blow dry and curl, which took way more time than I ever had. I resisted chopping it all off because I really like having the length for updos for formal events. I finally took the plunge and was so glad I did. It’s so much easier to manage and I feel really put together with just a quick blow dry and product mussed through it. 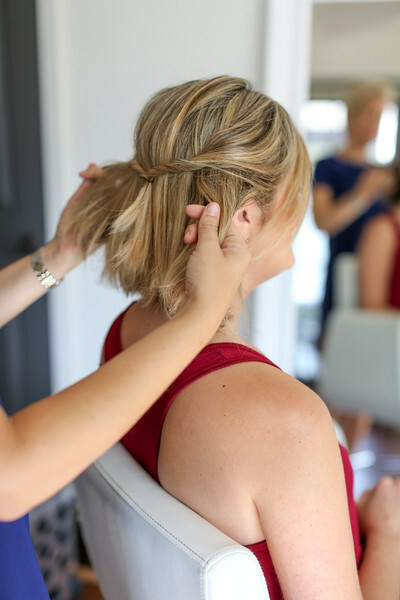 With my newly short hair, this quick messy updo is my go-to style for weddings and events. 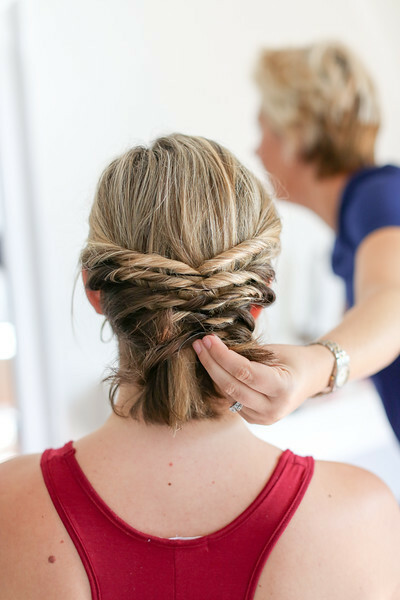 It looks reminiscent of a chignon and has a beachy, messy vibe that I love. 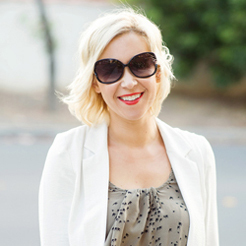 This easy style can go for a day running errands or as a chic look for a date night out. 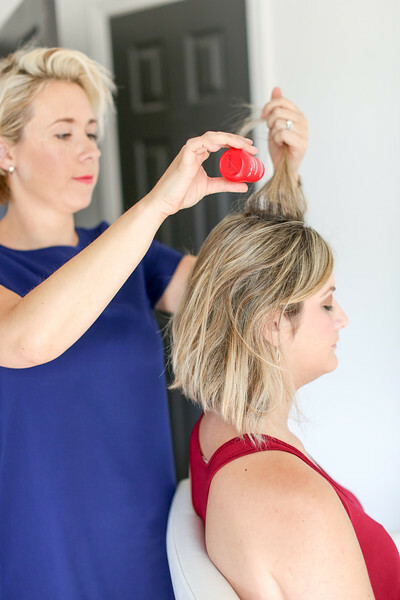 Step 1: Blast hair with dry shampoo all over your hair to give hair grit and help it hold. 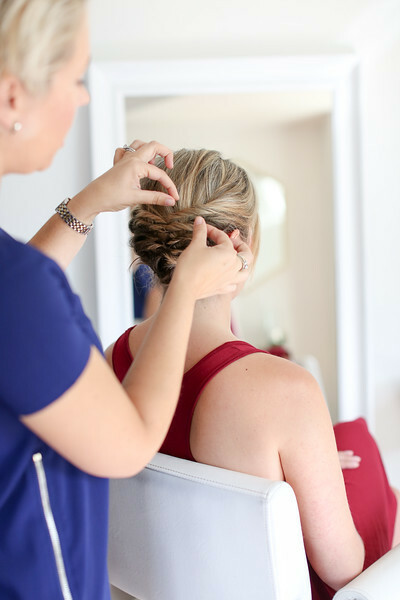 Step 2: Section hair and apply Hair Dust to roots, starting at the front of your head and working down the back and sides. After applying the dust, massage it into hair to create volume and texture. Step 3: Create whichever part you like whether it be a center or side part. 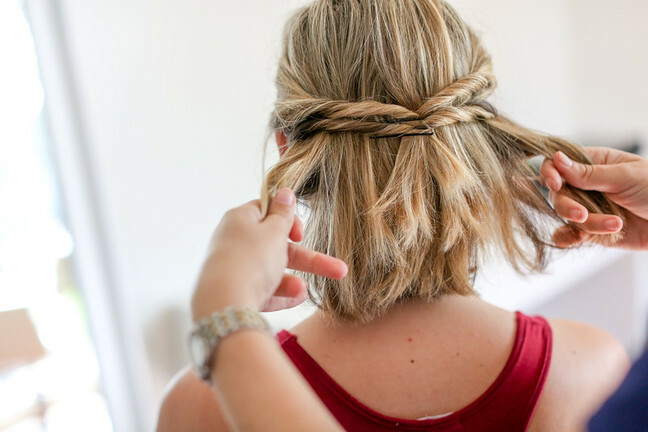 Grab two inch wide sections from the front of your hair and twist back to meet in the middle. 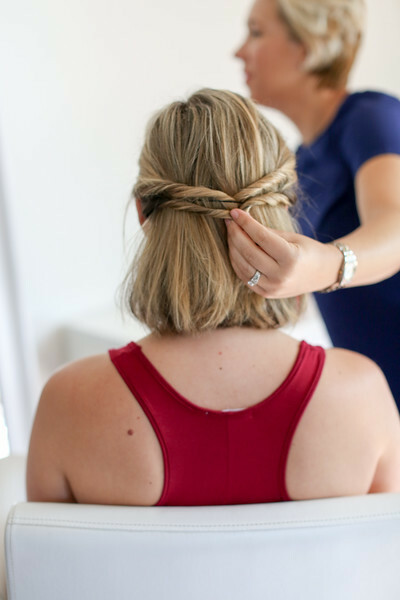 Secure twists with a bobby pin. Step 4: Continue with section number two. 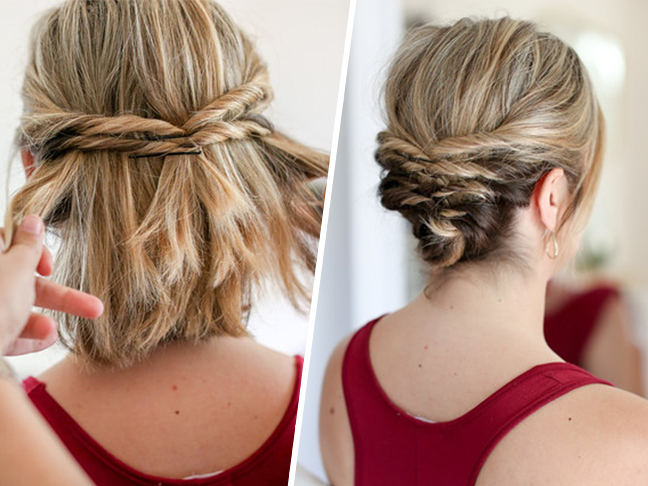 Twist hair and secure with a bobby pin. Step 5: Continue twisting and securing down the length of your hair. 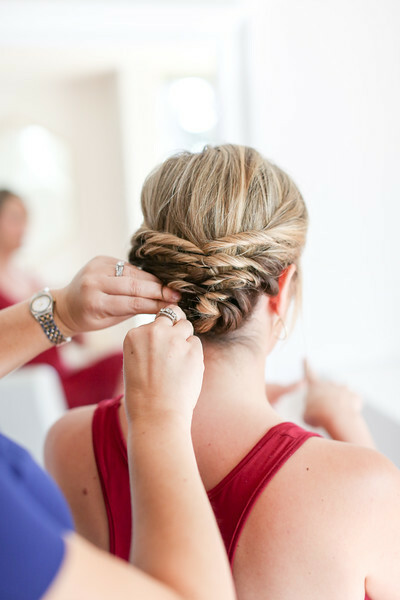 Step 6: When you get down to the shortest layers of hair, take those last bits, twist, and secure with a few bobby pins. Step 7: Pull sections to loosen and create texture. Voila! A chic and textured look for any occasion.